1) Healthcare IS an exchange of goods and services. Healthcare providers, just like any other provider of a good or service, derive their value from supply and demand. From the demand side, simple medical services such as checking blood pressure and diagnosing a flu are of higher demand than those who need catastrophic, life-saving surgery. From the supply side, there are many more people able to take an individual's blood pressure than perform catastrophic, life-saving surgery. The investment needed to be able to perform life-saving surgery is also significantly higher than the investment needed to take an individual's blood pressure. When these factors collide it gives a certain value to both a nurse and a specialized surgeon. The value determined by individuals engaging in the market of healthcare is the true value of each individual’s labor. Regulating and subsidizing to distort the financial manifestation of that value does not change the value itself. 2) How we increase the quality, and decrease the price, of a good or service is an economic - not moral - question. 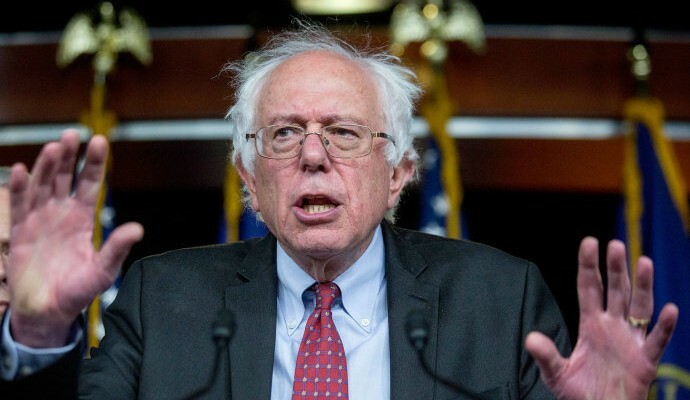 We often hear Bernie Sanders claim “America is the wealthiest nation in the history of the world but it still does not guarantee your right to health care” as if declaring something a “right” magically produces more of it. Next he says not having cheap quality health care for all is a product of “evil” corporations taking extra profit. This argument debunks itself. We are the richest nation in the history of the world. However, being a rich nation independent of efficient distribution of goods and services (like healthcare) clearly doesn’t create affordable or quality healthcare for all. What creates affordable, quality healthcare for the greatest amount of people is efficient distribution of our wealth, hence, the economic argument of how to distribute scarce resources with alternative uses. It has nothing to do with Bernie’s, or anyone else’s, definition of good and evil. Only efficient and inefficient distribution. A quick peek over at the socialist republic of Venezuela, where just six years ago Bernie Sanders applauded as more apt than America to realize the American dream than the United States of America, shows that having abundant resources and abiding by Bernie's’ definition of morality doesn’t guarantee the efficient distribution or production of healthcare services. 3) The government lacks the information necessary to distribute healthcare efficiently. A single payer health care system is equivalent to the government saying “We know the health care that you need better than you do.” How does the government decide the amount of money to invest into different medical services? There is no indicator showing the government the supply and demand of MRI scanners, for example, since the price is distorted by the government subsidizing what it believes people want. The free market, on the other hand, can only indicate supply and demand of MRI scanners based on the choices individuals producers and consumers actually make. Individuals choosing to purchase and produce MRI scans at certain prices tells medical practitioners how much to invest in providing MRI scans. When the government controls distribution of goods and services the only indicator is public opinion. People want lots of things, like lower rent but basic economics tells us that lowering price, without a decrease in demand or increase in supply, leads to artificially increased demand giving property owners no reason to improve the quality of housing. It also drives people away from investing in additional housing, creates surplus and ultimately increases prices. Look at housing rates in San Francisco, or New York for example. The value determined by individuals engaging in the market of healthcare is the true value of each individual’s labor..